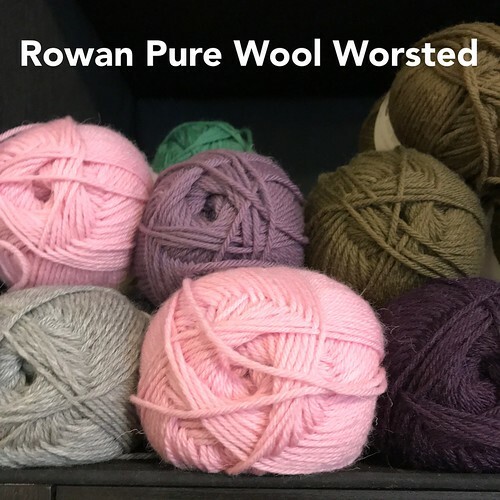 Too hot, too muggy but maybe it is time to start thinking about your fall projects and if you are going to knit Christmas gifts, it is never too early to start! Christina started her gift knitting...a simple boomerang shawl but spectacular! Since the Labour Day long weekend is next week, I think it is definitely time to start those cool weather projects! Maybe something smaller like a new beanie for the kids or a cowl or cardigan! 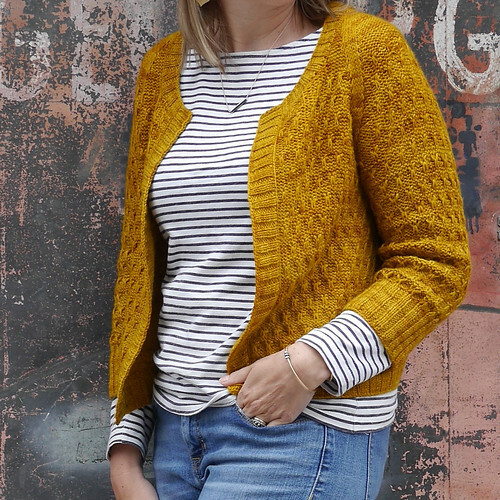 Take a look at the Beekeeper Cardigan by Marie Greene, a fun textured top-down and seamless cardigan with a unique saddle shoulder shaping that hugs your shoulders. It is knit using a DK weight yarn using 3.75 mm (US 5) and 4.5 mm (US 7) needles to get a gauge of 18 stitches and 30 rows = 4 inches in the pattern stitch with the larger needles. 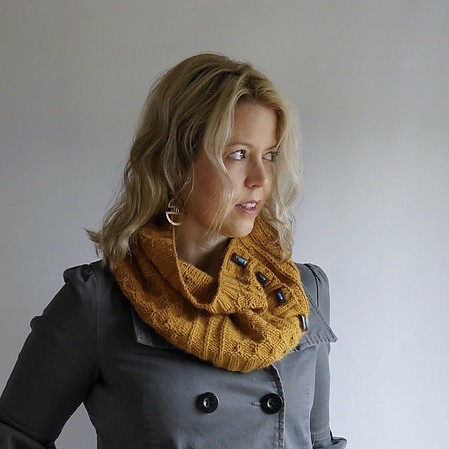 If a cardigan is too ambitious, how about her Beekeeper Cowl? The Ravelry description calls the cowl the ultimate multi-season accessory that is both playful and refined. With decadent yarn, vivid textural details, and a button closure, this quick cowl is the perfect weekend project. It is knit with the same needles and yarn requirement as the cardigan for the same gauge. The finished cowl is approximately 11 inches tall by 30 inches wide (buttoned). These two are not free patterns but nonetheless knitworthy! Cabito by Gabriella Calderini is a beautiful, super-squishy two-color Brioche and two-color Fantasy Stitch cap from Malabrigo's Spring 2016 newsletter! It includes links to tutorials for both stitches. 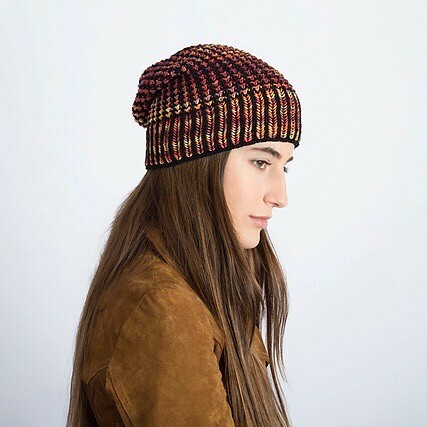 The beanie was designed to be knit using Malabrigo Arroyo using 3.5 mm (US 4) and 4.0 mm (US 6) needles for a gauge of 20 stitches and 30 rows = 4 inches in the Two-Color Brioche Stitch on US 4 needle knit in the round. You will need 670 yards (613 m) or one skein each of two colours. The hat will fit an average adult head with plenty of stretch. Are you ready to try your hand at brioche? 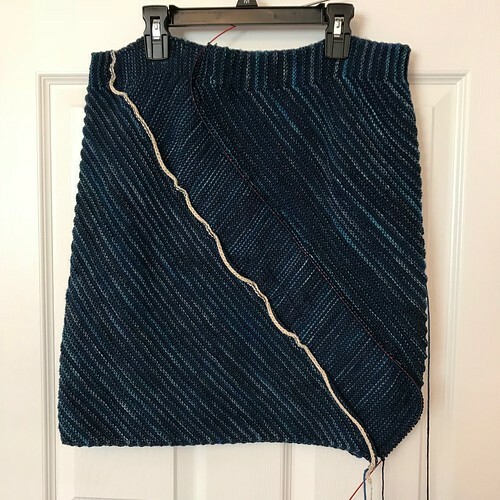 I am loving the Zweig by Caitlin Hunter of Boyland Knitworks sweater that I am knitting with some of the Koigu that arrived a few weeks ago! 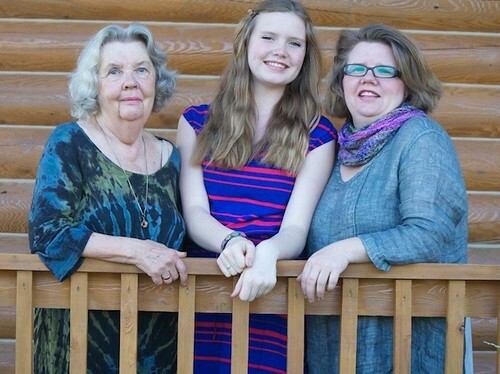 Koigu Wool Designs is located in Chatsworth, Ontario with a bold and unique history run by 3 generations of Landra women! My Zweig is going to go with the Unswirled Swirl Skirt that I am knitting for the current Sue2Knits KAL. I only have a few inches to go on this my (third) Swirl Skirt - if you are wondering, I omitted the wedges on this one! 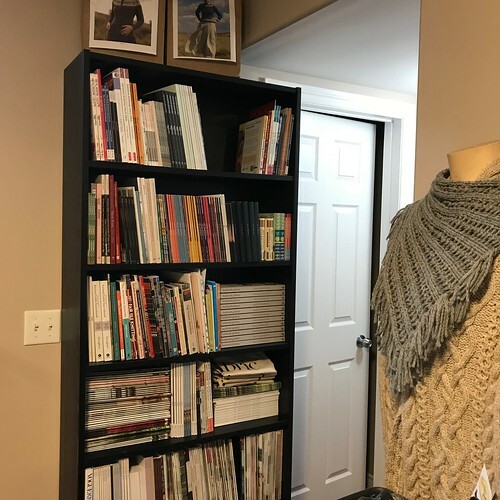 The current Knit-Alongs are the Knit Your Any Project KAL: An everlasting knit-along to encourage and support you to knit your own project (any project, and join in anytime!) 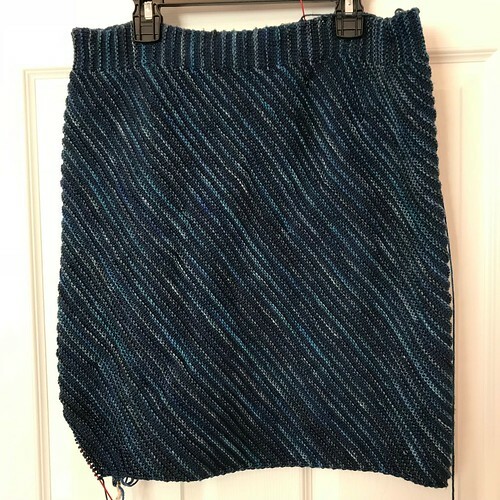 from July 1 to September 15, 2018; and the Swirl Skirt, Any Skirt and Any Project KAL running at the same time. 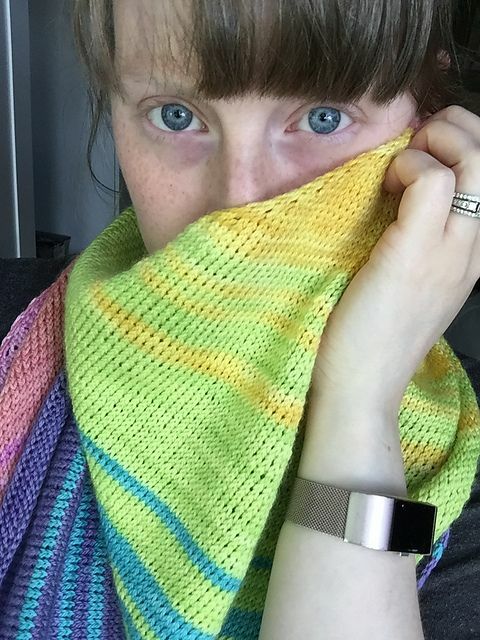 Don't forget to post a pic to the finished object (FO) thread! Just a few weeks to go before the next draw! Here is another view of my Swirl Skirt by AnneLena Mattison! I am using DK weight yarn for both colours...Butterfly Super 10 mercerized cotton and Malabrigo Arroyo instead of the worsted weight the pattern is written for. Nicole as of yesterday had only one more row to go before inserting another needle while removing her provisional cast on and then kitchener stitching her skirt together! Natalie had 2 wedges to go when I saw her on Wednesday! 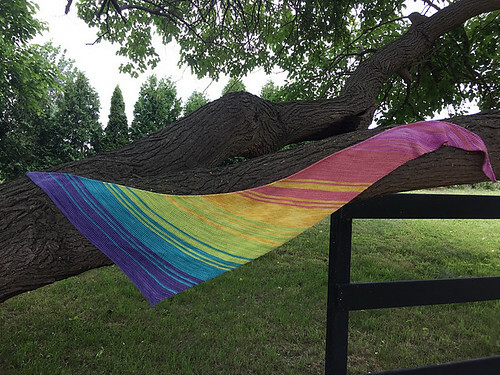 Christina knit her "to be gifted" boomerang shawl using a SweetGeorgia Party of Five mini skein set and a full skein of SweetGeorgia Tough Love Sock! She did not use a pattern but striped and changed colours whenever she felt like it! I should point out that there is a CLEARANCE tab at the bottom of the website under Products that most of you have overlooked! It used to be labelled SALE but since I am unable to have both, I renamed it! The discounts vary from 10 to 40% so be sure to check it out. 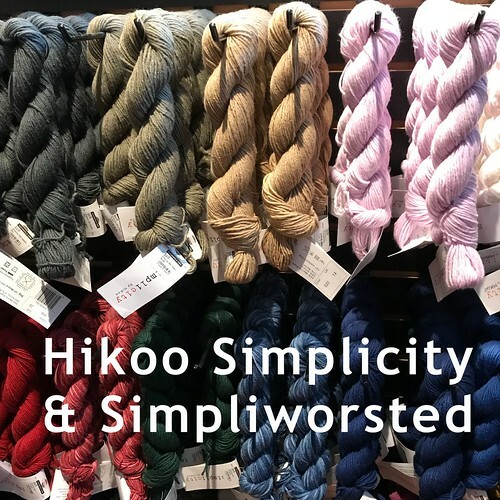 Simplicity has been been marked down to $7.13 from $9.50 and Simpliworsted to $13.88 and $15.75 from $18.50 and $21.00. I have been putting together the Classes that we will be running this fall! I will update you once it is finalized. 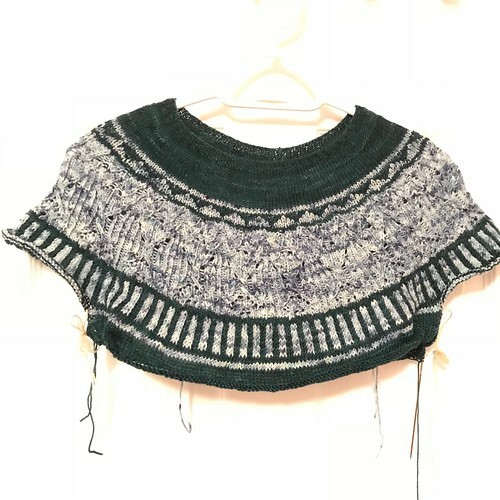 There will be a Girl or Boy Bunny Class, a topdown fairisle sweater class, Building with Lace by Michelle Hunter Knit-Along Class (Pre-Registration required), Workshops for Dying Yarn and Weaving, Fixing Mistakes and beginner knitting and crochet classes. A few have now been posted with the rest being uploaded soon. I'm sorry but I am writing up and then knitting a pattern for the Knit 1 Class! Last weekend, Nicole drove me to then Ikea store in Canton, Michigan to buy a Billy shelving unit! After Ed and I put it together, I moved all of the books and magazines there. It took most of the day but once again the shop has been reorganized so that yarn that I didn't have space for now has its own place. Thank you Nicole - and since today is your birthday - Happy Birthday! !